When travelling “Hardtke Class”–which often resembles “Rick Steves Class”–we’re always looking for the best deals to save time and money. Part of this strategy is to book overnight travel arrangements so you pay for travel and accommodation combined, which is often cheaper. Following this strategy, we booked us a 4-person cabin on the Silja Serenade, a cruiseferry that travels overnight between Helsinki and Stockholm. 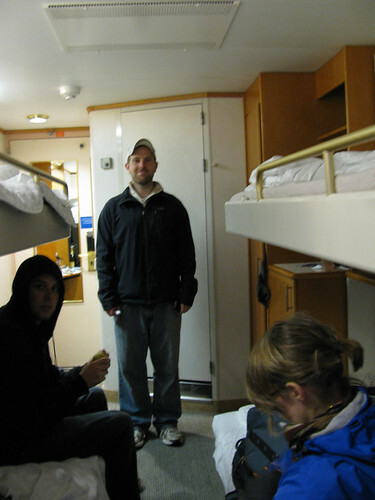 Brian had billed this as the “booze cruise,” but I wasn’t so sure about that. Yes, it did contain the mythological theory of tax-free hard alcohol, but we were travelling on a weekday. With the duty restrictions for arriving with liquor, I didn’t really think people would pay the fare, mostly because they would probably break even at best. Regardless, we went to the terminal with high hopes and quickly boarded the Serenade. 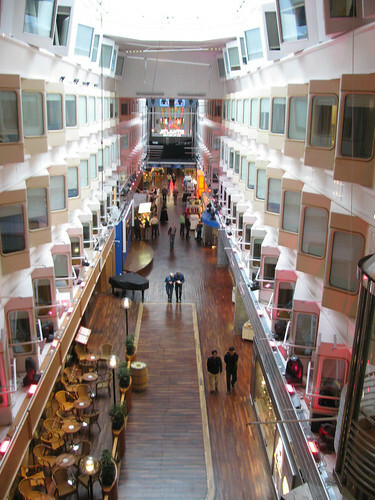 These were some of the first ships that featured an internal promenade that is common in cruise ships these days, and it was a weird mixture of restaurants that seemed to be “fake” pubs and the large duty-free store that opened promptly when we departed. 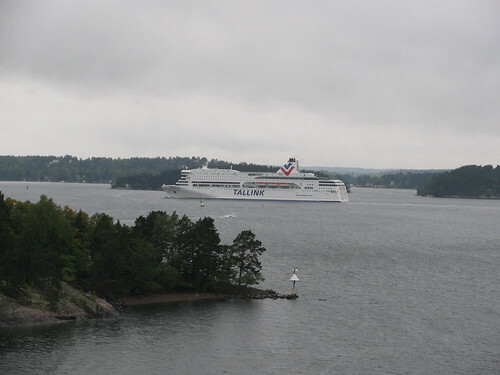 We got a cabin overlooking this promenade on a friend’s recommendation, and everyone else started taking a nap the minute we left, despite my announced plan of going above deck to watch the star fortress and Helsinki pass us by on the way to the Baltic. It was, of course, pouring on the upper deck, but viewing the fortifications from a higher viewpoint (and the viewpoint of a ship that could easily be shelled!) was a fairly cool experience. I went back to the cabin and fought the slow internet connection for the next hour or so before giving up and did some light dozing while waiting for them to wake up. I’m pretty sure the internet was a single satlink of dubious quality, but WHATEVER. 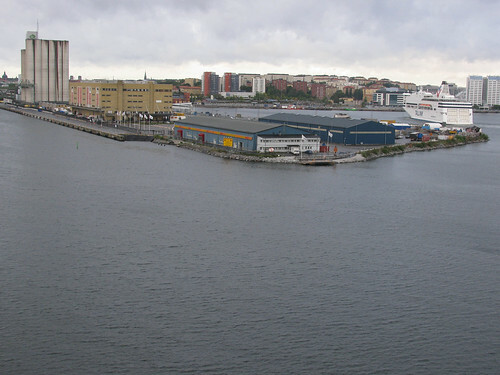 Island in the harbor, as viewed from the ferry. Finally, after about ever, they woke up to the door knocking. We all promptly went to the tax-free store and spent far too much time picking out what finally resulted in a milky mango-like liquor and some lingonberry vodka. We went to the protected middle section of the upper deck and started sampling these fares and hanging out. After some card games and planning for tomorrow, a few of us went back to the cabin to go to bed. 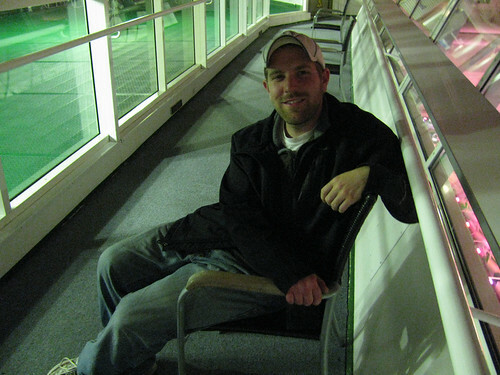 Hanging out on the upper deck. Not so. An hour later, a very tired and hastily dressed-to-party Nikky found himself sitting next to similarly deposed Stephanie while the others went to the 14th level, and the “Club New York” to dance. This club was a weird mixture of American brands such as TGI Friday’s and European techno music. There were the stereotypical girls with short dresses wearing angel wings who were dancing just about as poorly as possible. There was this mid-30s woman who was very clearly hitting on a hipster-looking dude who wasn’t really having any of her, but she kept dragging him to dance. Hilarity ensued. It almost seemed that business people took this ferry to go to meetings and offices, and during the night took advantage of the club and cheap booze to just party it out in the middle of the week. Weird. 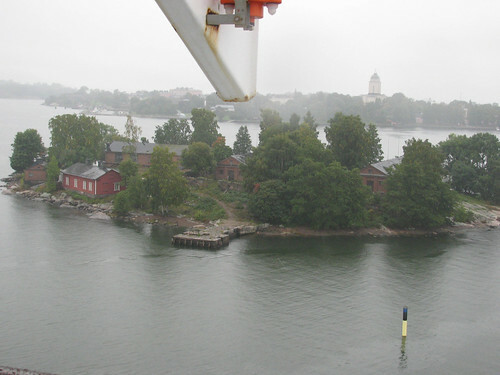 Anyway, the rest of the evening was uneventful and we woke up in a new time zone and stood on the front deck as we went through the archipelago to enter Stockholm.